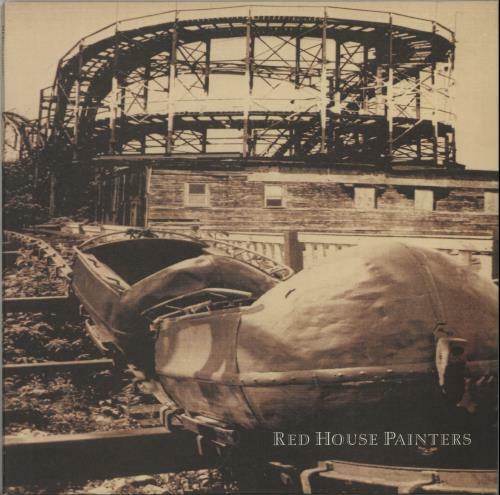 RED HOUSE PAINTERS Red House Painters (Very rare 1993 UK 14-track double vinyl LP, single pocket picture sleeve with picture inners. This self-titled release is also known as 'Rollercoaster' due to the sleeve image, it's another batch of classic introspective songs subsequently dubbed as 'slowcore' by the critics. The sleeve and inners show very little sign of wear, with just a little creasing to the opening lip and the vinyl has just a few light hairlines / scuffs, which have little or no impact on sound quality - a great copy of an elusive gem! DAD3008). or visit our Red House Painters image gallery.